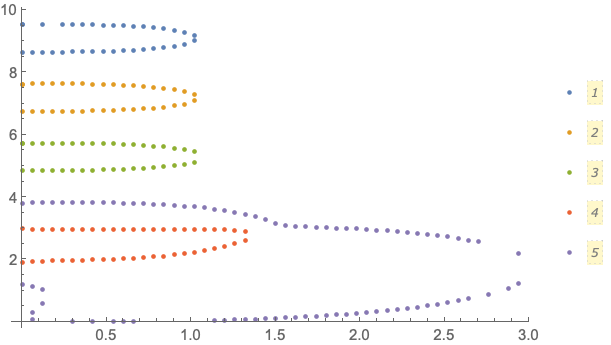 How do we cluster separate curves in a set of data? 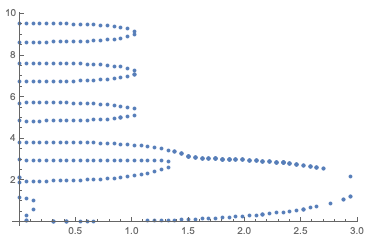 There are clearly some curves in this data that "naturally" belong together, as shown below (the two curves labeled by arrows should be associated with each other, but I suspect I'll have to link those two by hand). However, the data are scrambled, so I can't easily separate the data set into chunks that correspond to these separate curves. For this reason, I need to find a way to cluster this data set to separate the curves. which is better in that it's not obviously splitting up pieces of a curve that should be together, but it's worse in that it's clustering two clearly separated curves. 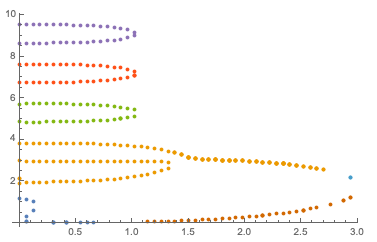 Is FindClusters the right tool for the job, and if so, how do we use it to separate the curves? If it's not the right tool for the job, what is? 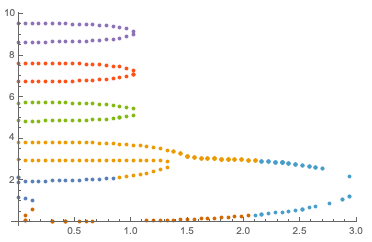 Is there a built-in Mathematica function that will do this job for us, or is there some clustering algorithm specifically designed to find curves like this? Note that there are other data sets as well, similar to this one, that I'll need to cluster. 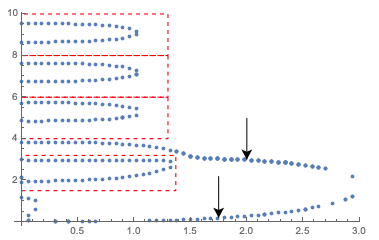 The different curves are not always separated vertically as they are here, and there's always one outer curve that subsumes some number of the smaller curves inside it. I understand that this will require some amount of manual tinkering at the end, but I'd like to get most of the way there using some automated procedure. Not the answer you're looking for? Browse other questions tagged list-manipulation cluster-analysis or ask your own question. How to determine cluster membership using FindClusters?